Are There Users Out There? Yesterday’s announcement by CBRE of a new 600,000 sq. ft. office complex on the North Shore proposed by Merrill Stabile looks for the most part to be a well-crafted effort to market a good site (it certainly attracted the media attention). According to the Tribune Review, Stabile is hoping to attract a Google-like company to Pittsburgh. From time to time developers or property owners are willing to pay an architect or broker for some preliminary work so the owner can float ideas about a piece of ground. In recent years there have been similar announcements about the former Pittsburgh Brewing site or the Burns & Scalo site on First Avenue. There are project looking for an anchor. Sometimes the marketing works and sometimes it doesn’t. The Stabile announcement is probably no different except that most of the real estate people I talked to after the press release were truly puzzled by the size of the project given the location. On some level, that’s how brokers react about projects they aren’t working but the secondary reaction was also one of curiosity about who might be out there looking. Over the past few months there have been rumors of several big users looking for space in excess of 200,000 sq. ft. at places like ALMONO or Oxford’s new building. 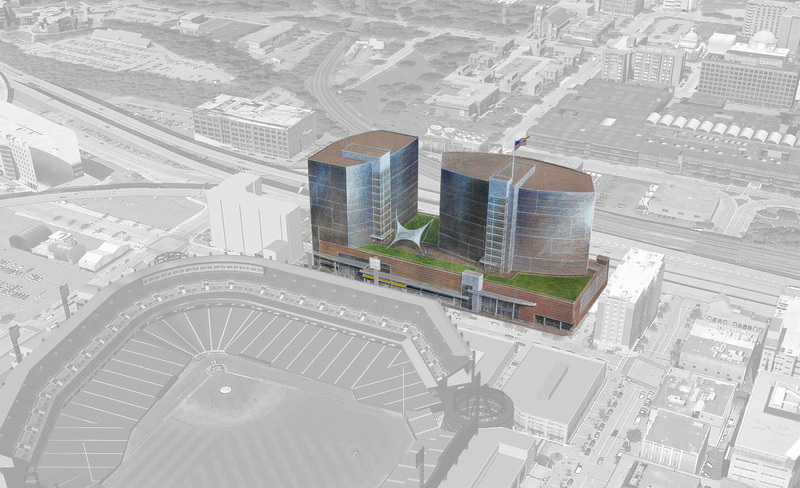 USX has been tied to the Strip District and the former Civic Arena site. Wednesday’s announcement may be just a marketing exercise but it’s timing raises the level of optimism about 2015 if there is indeed the hope that the North Shore project is competing for actual users in the market. With so little supply in the market since 2011, expansion or relocation or attraction of an anchor user for the office market would set off some dominoes. It would certainly mean more construction than the market has seen in a while.